Book by book, the reports were the same. In the biggest decisions of the day, the house needed the underdog New York Jets to cover the spread against the Minnesota Vikings, the Chicago Bears to cover against the favored New England Patriots and the Cincinnati Bengals to cover against the Kansas City Chiefs. The books lost them all, and bettors rejoiced. "[We] got spanked," William Hill director of trading Nick Bogdanovich said in a text message late Sunday. "We were due." • A VIP player at MGM placed six-figure bets on the Bears, Tampa Bay Buccaneers, New Orleans Saints and Dallas Cowboys. The Bears failed to cover as small home underdogs in a 38-31 loss to the Patriots. The Buccaneers, who were 3.5-point favorites over the Cleveland Browns, led by 14 in the fourth quarter but needed a 59-yard field goal from Chandler Catanzaro in overtime to prevail 26-23. The underdog Saints held on for a 24-23 win over Baltimore, thanks to a missed extra point by Ravens kicker Justin Tucker that would have tied the score with less than 30 seconds to play, and the Cowboys, who went from underdogs to favorites during the week, lost 20-17 at Washington. • "This was our first real bad Sunday [of the season]," MGM vice president of race and sports Jay Rood said. "But [there have] been much, much worse weekends in the past." • The Philadelphia Eagles were as high as -2,000 (1-20) favorites, leading the Carolina Panthers 17-0 heading into the fourth quarter, at William Hill books. The Panthers rallied for 21 points in the fourth quarter and won 21-17. • The SuperBook had lopsided action on the Ravens but got evened out by a $35,000 bet on the Saints +2.5 five minutes before kickoff. • The Dallas-Washington game saw notable line movement across the market after a professional player backed the Cowboys +1 on Saturday morning. Dallas closed as a 2-point favorite. Washington won 20-17 after Cowboys kicker Brett Maher missed a potential tying 52-yard field goal that hit the upright. • The Chiefs capped off what was the worst Sunday of the season for multiple Las Vegas sportsbooks with an emphatic 45-10 blowout of the Bengals in the Sunday prime-time game. The game did stay under the total of 56.5, with the Chiefs failing to score on four tries from inside the Bengals' 12-yard line late in the fourth quarter. • The Chiefs improved to 7-0 against the spread this season. They are the only team to have covered the spread in every game. • The Green Bay Packers opened as 8.5-point underdogs to the Los Angeles Rams in Week 8. The Packers have never been this big an underdog during Aaron Rodgers' tenure as starting quarterback, according to ESPN Stats & Information. • A bettor on Saturday at the South Point sportsbook placed a $700 bet on UConn to upset heavily favored South Florida at 70-1 odds for a shot at a $49,000 profit. The Huskies, who were 33-point underdogs, lost 38-30. • Early last week, a bettor at the Westgate SuperBook placed at $27,000 bet on Alabama QB Tua Tagovailoa to win the Heisman Trophy at -180 odds. The bet would pay $15,000. • The SuperBook opened the Boston Red Sox as a -135 favorite to win the World Series and immediately took a $100,000 bet on the Los Angeles Dodgers +115 odds. The price as of Monday morning was Red Sox -140/Dodgers +120. • The SuperBook stopped offering props on starting pitchers during the playoffs because of the increased use of bullpens early in games. "There was a time where we would list strikeouts thrown by the starting pitcher, 'Will he allow a home run?' and 'Will he be the winning pitcher?'" SuperBook manager Ed Salmons said. "We stopped doing them, just because you don't know how long the pitchers are going to pitch and most of them don't make it five innings anymore. In the World Series, we're going to do the total number of different players to throw a pitch. It's always been interesting, but now with the way they manage, [who] knows what the numbers could be." • Game 7 of the NLCS on Saturday attracted "one-third" of the handle of the most heavily bet college football games at the SuperBook. • Early betting on the World Series at DraftKings' sportsbook has been on the Red Sox, with 76 percent of the money and 66 percent of tickets on Boston. • The Golden Nugget in Atlantic City turned its old poker room into a new sportsbook, featuring close to 60 TVs, in just 26 days. 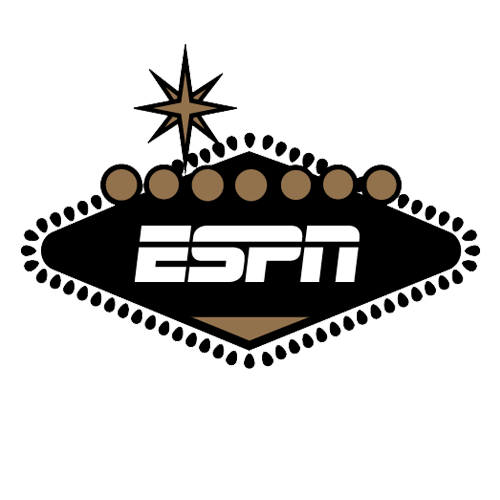 "It was an amazing transformation," Golden Nugget sportsbook manager Joe Nicosia told ESPN on Saturday. The Golden Nugget in Atlantic City also reported a losing Sunday. "Surprisingly, the Panthers' comeback win over the Eagles was our worst result," a Golden Nugget sportsbook representative told ESPN in an email. "So much for regional bias." • The Tropicana was finishing the final preparations to open a sports betting stand near the back of the casino. It is tentatively scheduled to open late this week. William Hill will operate the book at the Tropicana. William Hill also is running the book at Ocean Resort. • The NBA logo was hanging inside the race and sportsbook at the Borgata, an MGM property in Atlantic City. The NBA and MGM announced a partnership this summer, making MGM the "official gaming partner" of the NBA. • NBA: Last Monday, the day before the season tipped off, a bettor at the Westgate SuperBook placed a $50,000 bet on the Los Angeles Lakers to make the playoffs at -500 odds. If the Lakers reach the postseason, the bet would pay a net $10,000. • Boxing: A bettor at MGM placed a "strong six-figure" bet on Ryota Murata at around -700 odds to defeat Rob Brant, according to Rood. Brant pulled the upset, winning a unanimous decision. • Parlay: A player at DraftKings parlayed Rams -3, along with Chiefs, Saints and Patriots all to win. The bet was $3,000 and won $20,893.67.